Thursday is the 200th Anniversary of Abraham Lincoln’s birth. It will be marked with all manner of fanfare, throughout the country, with celebrations and re-dedications galore. The Library of Congress is celebrating the bicentennial with a special touring exhibit that opens Thursday evening. With Malice Toward None is an incredible portrait of Abraham Lincoln in his own handwriting. 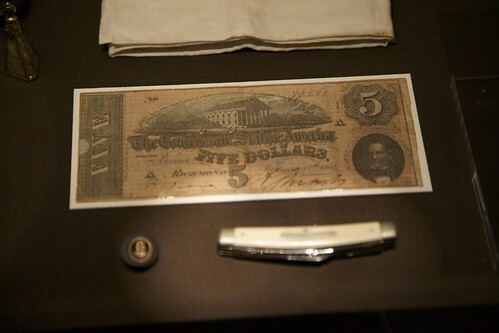 Beginning with an arithmetic primer, and ending with letters after the end of the war, it’s a trip through famous artifacts of Lincoln’s import for the United States. I couldn’t help but feel a little “Great Man Theory” soaking through the exhibit at times, making Lincoln out to be a man who was eight feet tall. Though, this was delicately counterbalanced by the group of curators giving the tour, speaking of Lincoln’s personal difficulties and family troubles during his tenure at the helm of our nation. One such note made it fairly clear that Lincoln wasn’t having a good time leading a nation amidst its worst conflict. 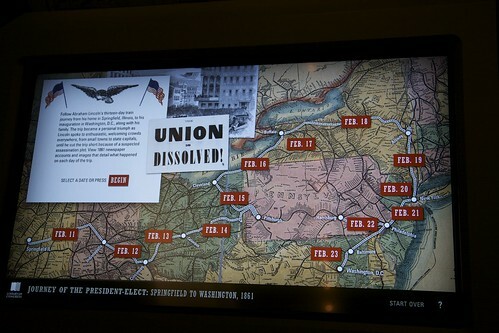 The exhibition features a pair of really amazing interactive tables built on large touchscreens, tracing the train from Springfield to Washington, and then the funerary procession from DC back to Springfield. The Library has done an incredible job gathering various ephemeral resources from both trips and turning them into an artifact trail that’s worth playing for. I got lost in the trip from Springfield to DC and just found myself reading the whole front page for the Cleveland Plain Dealer from February 15th, 1861. It was amazing to find myself staring at a handwritten copy of the 2nd Inaugural Address, considered to be one of the finest speeches in the history of the Presidency. In the next cabinet over is the draft of the Emancipation Proclamation, written in July of 1862. Lincoln had to sit on it at the request of several congressmen facing tough elections, and then proceeded with it against their objections in the winter of 1863. And there it was, standing in front of me. The collection of Lincolnia is amazing, and worth seeing. History is about people, and it’s about artifacts, and this exhibit is a pleasant mix of both. The exhibit opens Thursday and will run for the next three months here in DC before it heads out on a two-year tour around the United States. The exhibit is underwritten by Union Pacific, who have developed a companion website about Lincoln and the great railroads of the US.